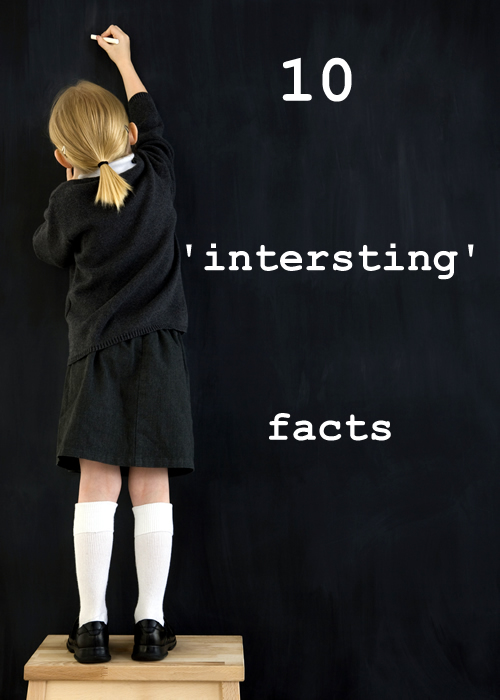 Friday’s 10 ‘interesting’ facts. Know any? 2. Streets in Japan do not have names. 3. Pearlescence lipstick contains fish scales. 4. Your home is ten times more likely to have a fire than be burgled. 5. Only 55% of Americans know that the sun is a star. Did you? 7. Whispering is more wearing on your voice than a normal speaking tone. 8. Nutmeg is extremely poisonous if injected intravenously. 9. A woodpecker can peck twenty times a second. 10. Domestic cats hate lemons or other citrus scents.